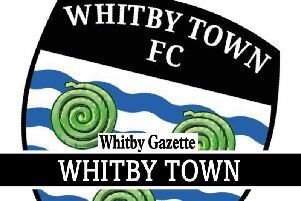 Round-up of a busy week of action for Whitby’s Saturday League sides. Whitby Fishermen are finishing their Scarborough News Saturday League Division One season with a flourish after wins at Filey Town and Seamer Sports. On Saturday, Mark Storr’s team romped to a 4-0 win at Clarence drive against Town. Man of the match Ryan Braithwaite smashed in two goals, with Mark Swales and Sam Russell also on target. Karl Storr and Dylan Goldsmith were the marksmen at Seamer on Wednesday evening. Jordan Purvis was the star performer for the victors. The Fishermen, who have now climbed to sixth in the table, complete their 2015/16 campaign on Wednesday May 4 at Hunmanby United, 6.30pm kick-off. Elsewhere in the top flight, Sleights rounded off their season with a 3-3 draw at Filey Town on Wednesday night. The visitors opened the scoring on 20 minutes when Rob Ingham turned home a right-wing cross. It was 2-0 when Lewis Peel chested down and forced home from close-range. Early in the second half, Ingham’s neat dink across the box was controlled by Billy Graham who slotted home. However, Ricky Tomlinson and Callum Gravestock pulled it back to 3-2, then a late spot-kick from Nathan Vernon levelled matters when Sleights’ James Fawcett was adjudged to have pushed a striker in the box. Taylor Humble was named as the man of the match. Sleights Reserves brought their Division Three campaign to a conclusion with two massive wins, triumphing 23-1 win at eight-man Filey Town 3rds on Saturday and then 11-0 at Eastway on Monday. Jim Niel, Simon Taylor, Ryan Roe and Ingham scored four goals apiece for the visitors at Filey, Tom Kilpatrick also scoring a hat-trick and Mike Dent adding a brace. Spencer Hewison and Humble also scored, with Niel the man of the match. At Eastway, Ingham, Ben Watson and Hewison hit a brace each. Roe, Humble, Carl Harris, Dent and player-boss Rob Winspear, in his final game in charge, also notched. Fishburn Park Reserves lost 4-3 at Hunmanby United Reserves on Saturday. Park and Sherburn played out a thriller on Monday, which ended 3-3. Sherburn moved two goals clear but Wiggins pulled one back before the break to keep Park in the game. Harry Walmsley looked to have put Sherburn on the path to the points with a 30-yard free-kick, but Park grabbed a point when Wiggins tapped home his second and Theo Clarke’s drive put Fishburn on terms. Sixteen-year-old keeper Kieran Purvis impressed for Fishburn, as did winger Jack Kipling.